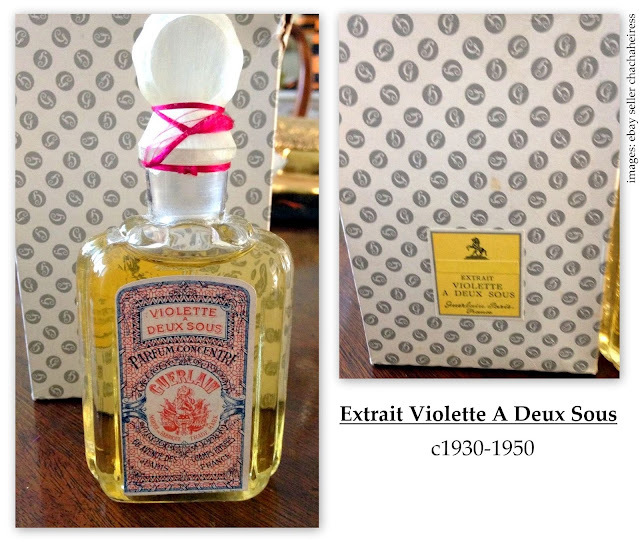 Violette a Deux Sous: created in 1890, a feminine perfume. So what does it smell like? 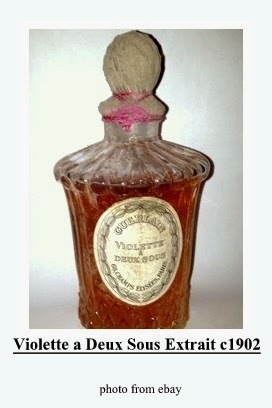 It was a violet soliflore with a base of vetiver. 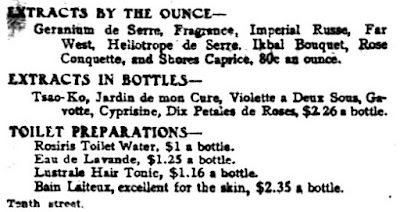 Presented in the Carre flacon in the late 1800s, the flacon Plat (extrait) and in the "Louis XVI" Flacon (extrait) in 1902. 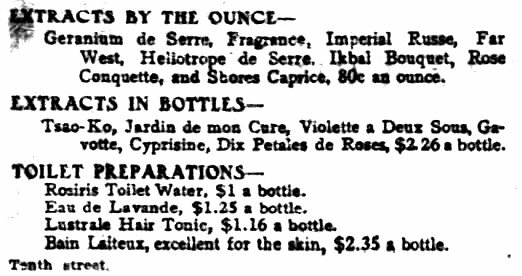 Discontinued, date unknown, still being sold in 1936-1937.